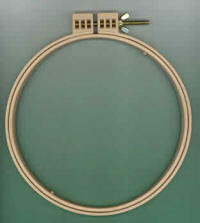 Locking embroidery hoop is perfect for punchneedle embroidery or any hand embroidery. Special lip on the inner hoop grips the fabric firmly when the outer hoop is tightened, keeping the fabric taut. Special cover over the tightening screw on the outer hoop keeps your thread from tangling in the screw. 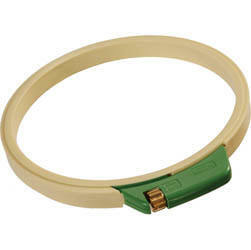 Locking embroidery hoop is perfect for punchneedle embroidery or any hand embroidery. 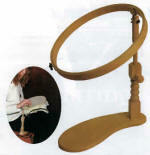 Special lip on the inner hoop grips the fabric firmly when the outer hoop is tightened, keeping the fabric taut. Special cover over the tightening screw on the outer hoop keeps your thread from tangling in the screw. 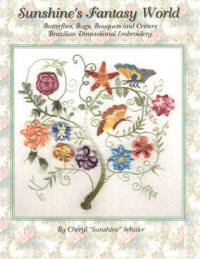 Can be used with the Clover Embroidery Hoop Stand (N6970B). This clever Clover embroidery hoop stand can be used with either the 7" Clover locking embroidery hoop (N6970) or the 4.75" Clover hoop (N6970A). Just flip it over to change the hoop size! This hands-free stand helps you do punchneedle embroidery with the Clover Embroidery Stitching Tool (N7311) or any other punchneedles. Just hold the hoop in the stand lightly with one hand while punching with the other. Your punchneedle will not bump into the table beneath the stand, and your hands won't tire from gripping the hoop. 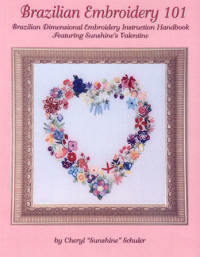 This stitch frame and hoop is versatile for most stitchers needs!